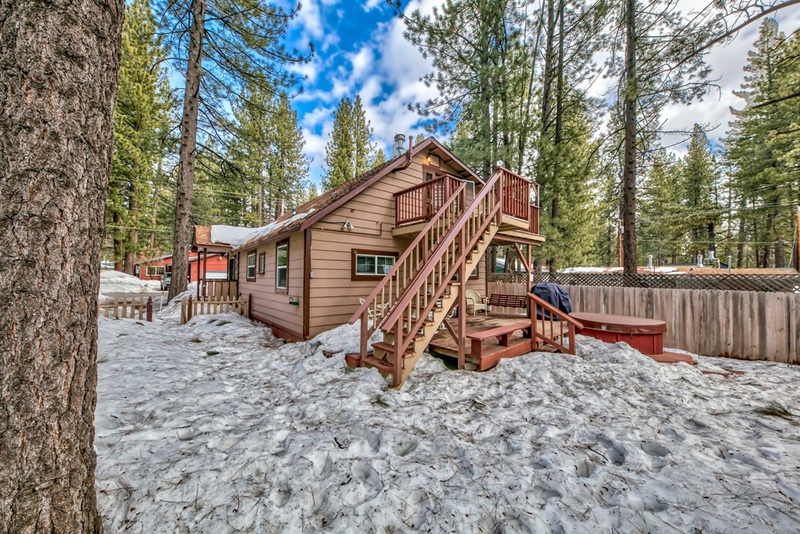 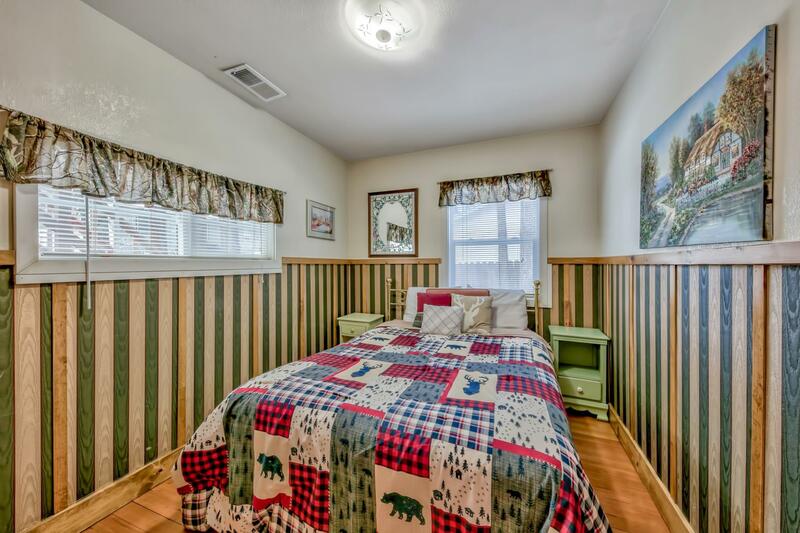 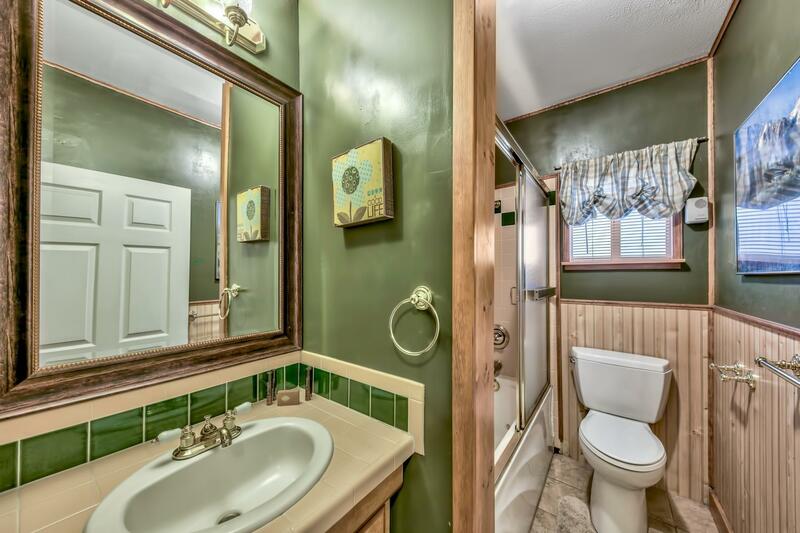 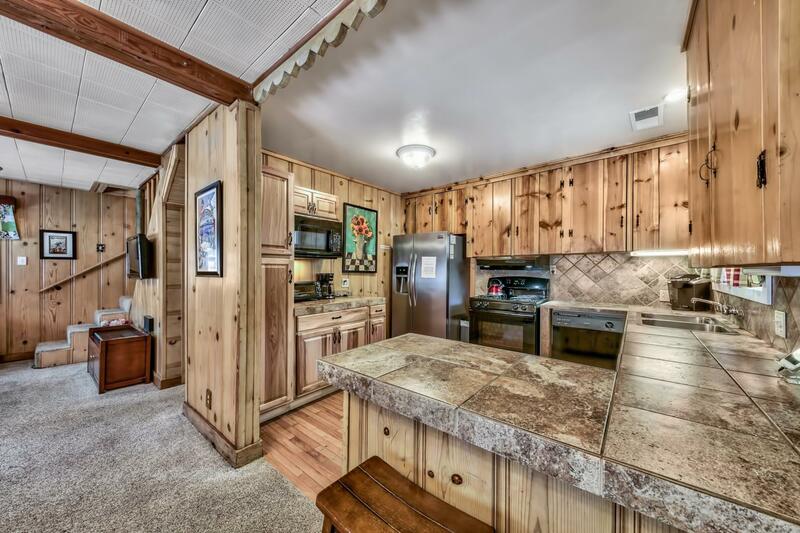 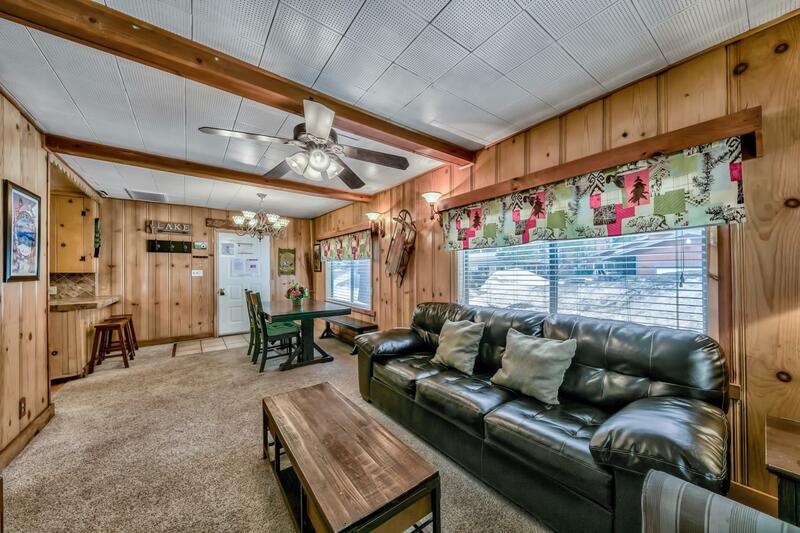 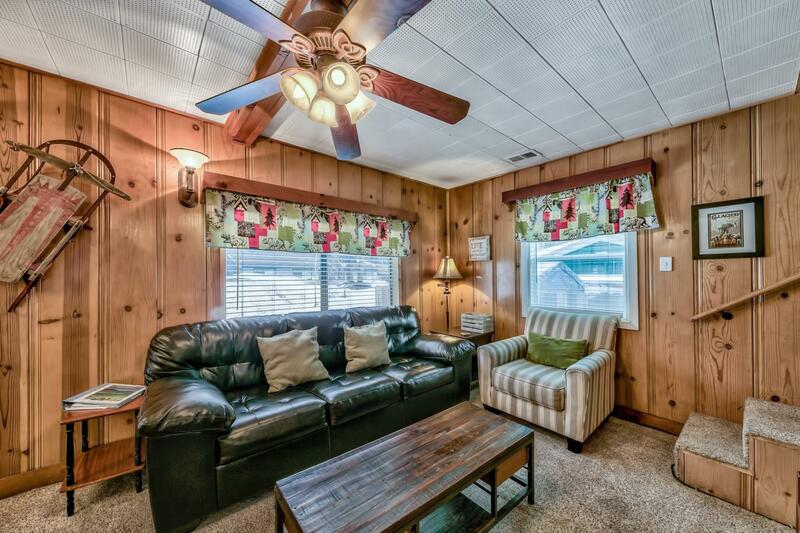 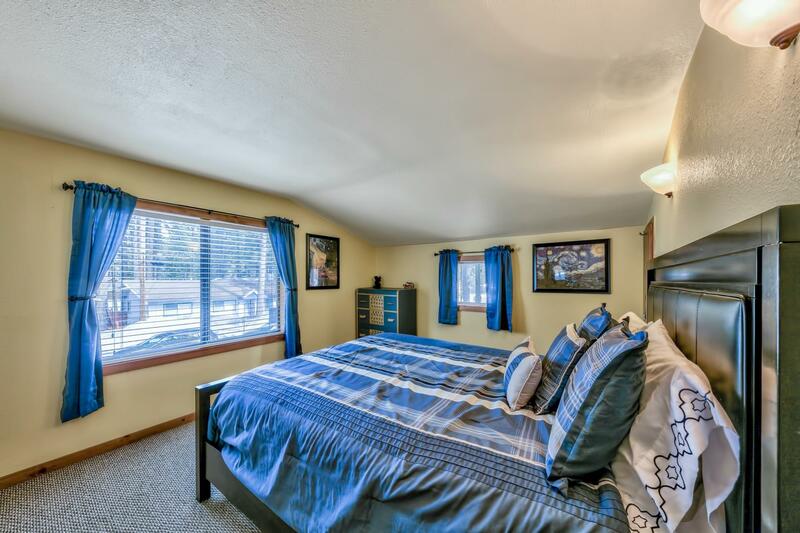 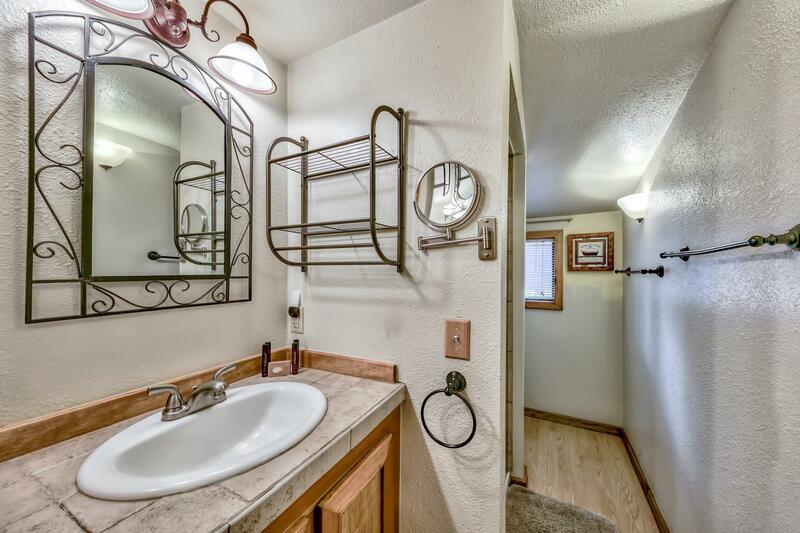 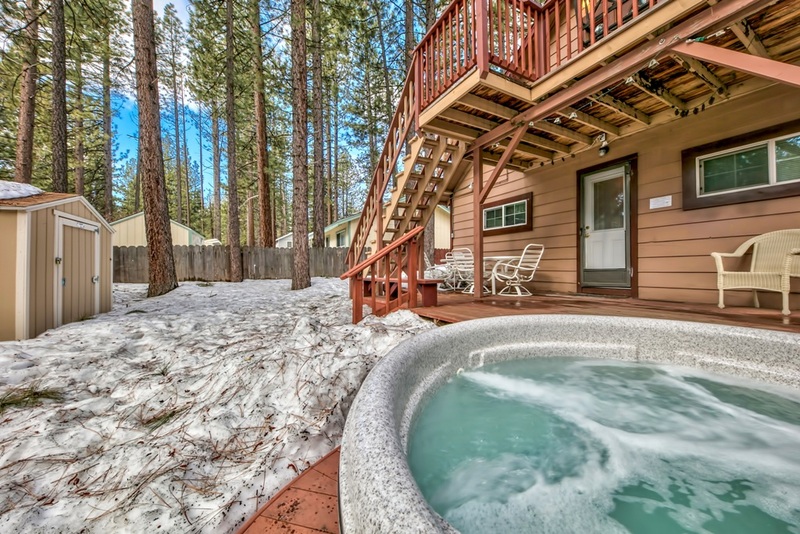 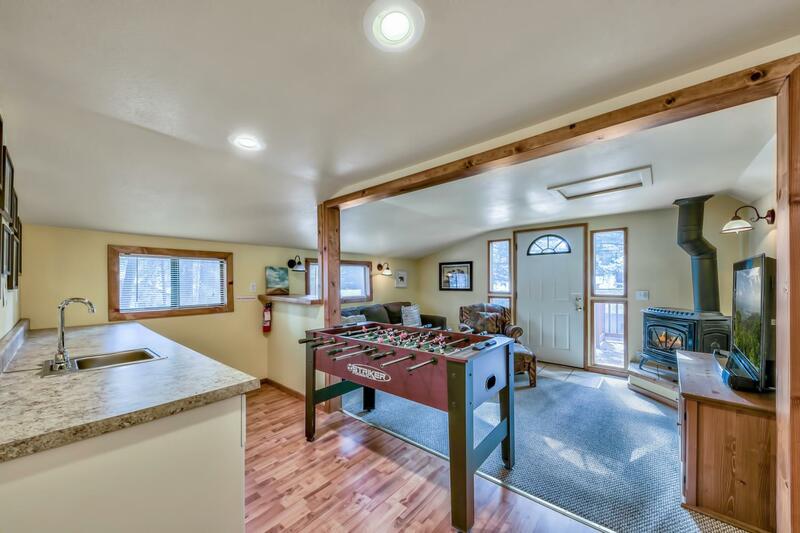 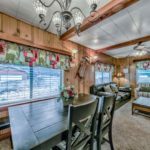 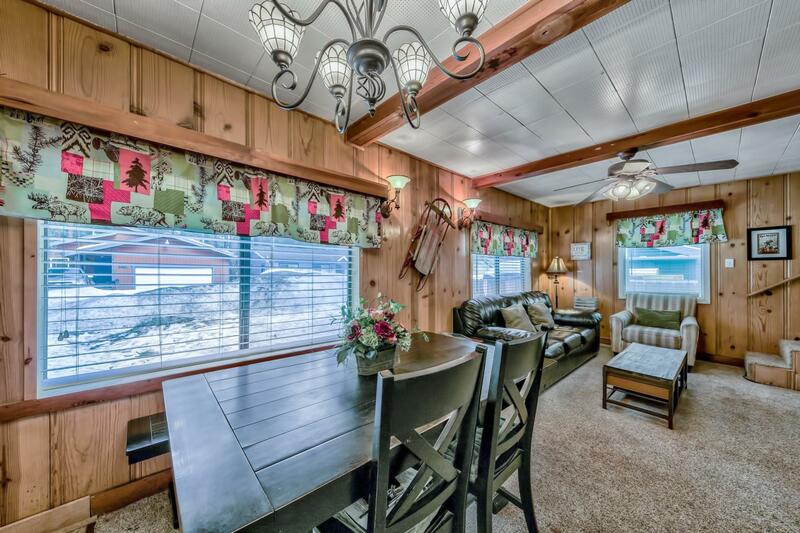 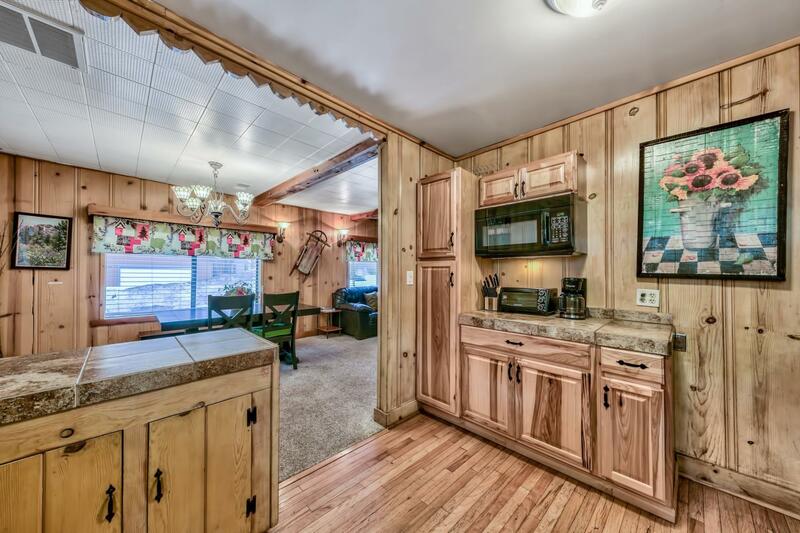 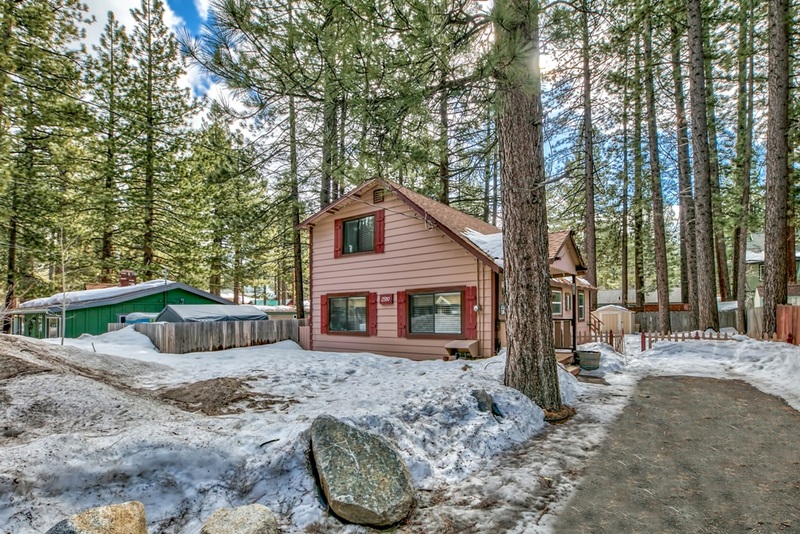 This fully furnished turnkey home exudes Tahoe charm from the minute you walk in the front door. 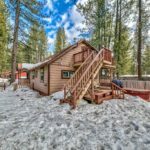 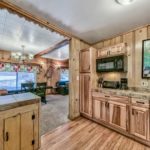 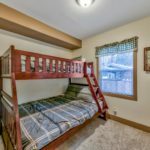 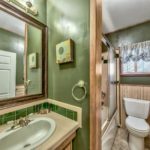 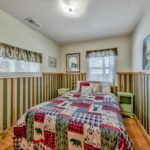 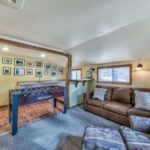 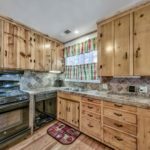 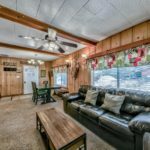 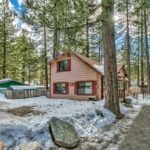 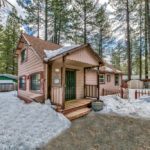 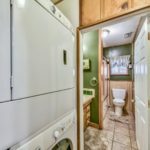 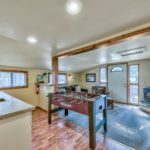 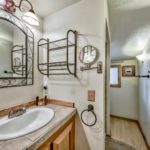 Property is located in a great mid town neighborhood central to all that Tahoe has to offer year around. 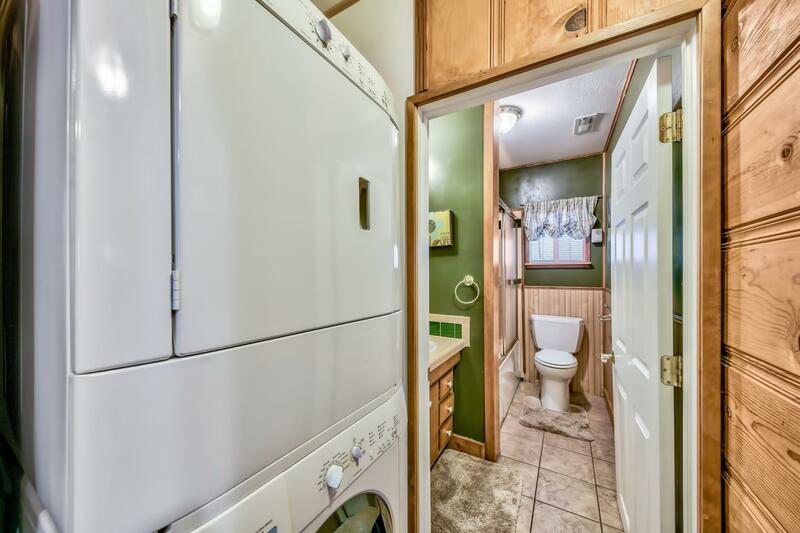 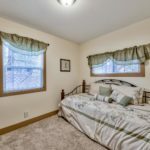 This home features 4 spacious bedrooms, 2 full baths, & an upstairs bonus room that has a small kitchenette, great for when the in-laws or house guests visit. 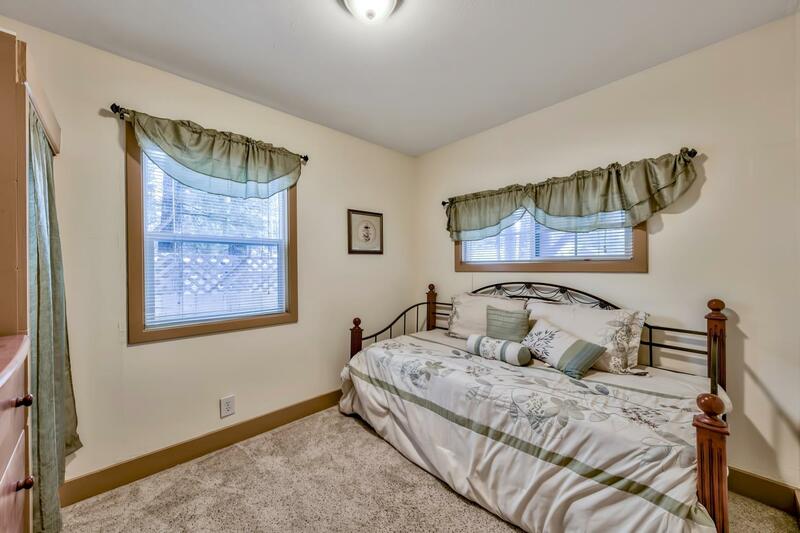 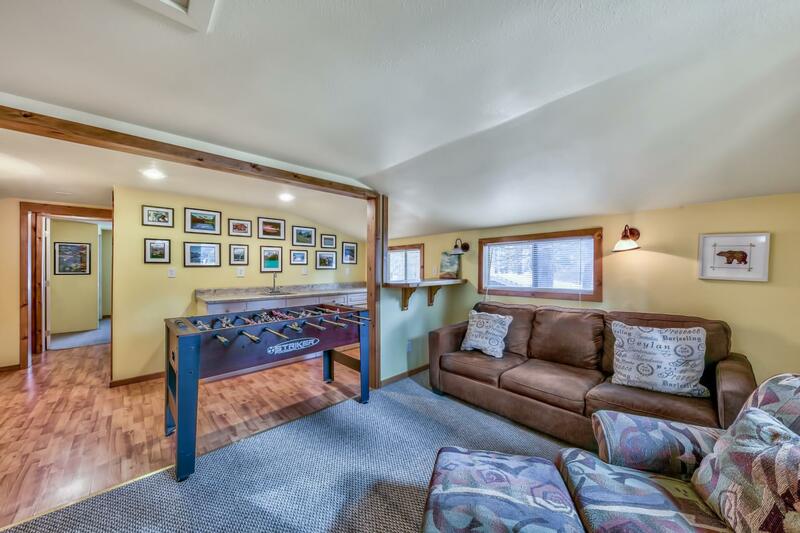 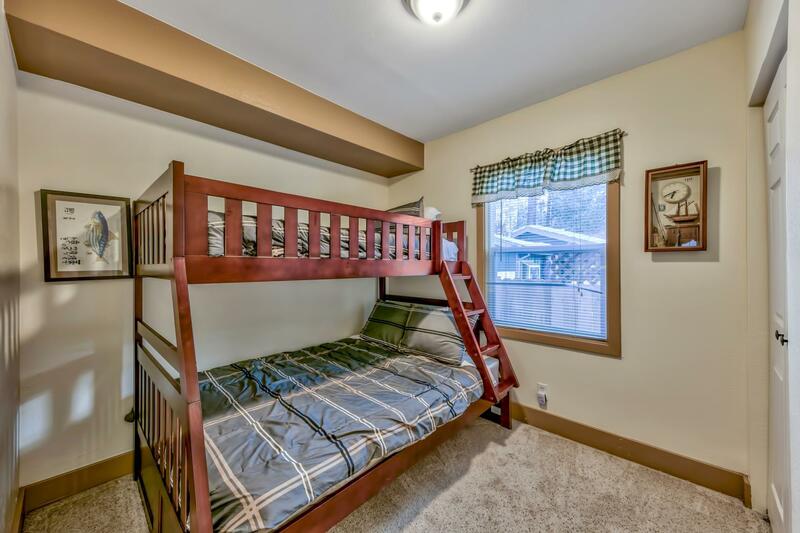 This bonus room also has a gas fireplace & large sunny deck with a separate back entrance. 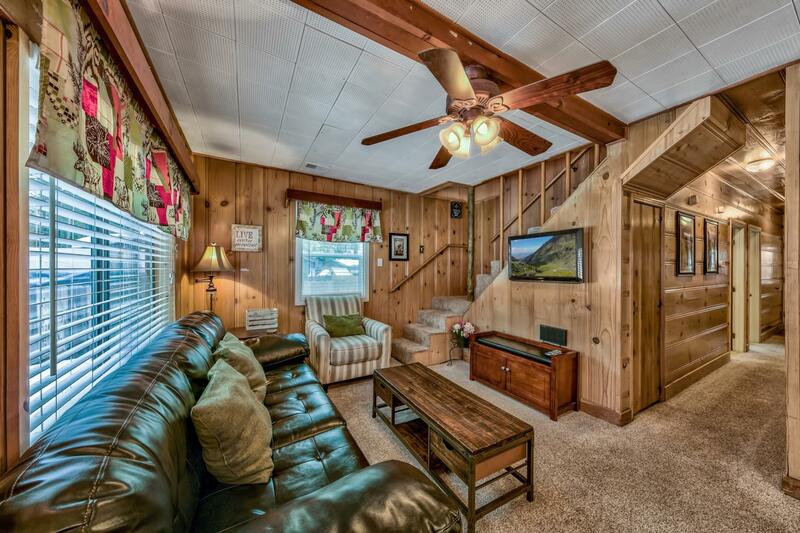 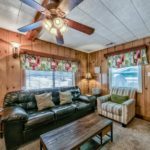 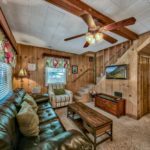 The downstairs living space is great for entertaining & offers open beam ceilings, knotty pine walls, & large windows that give the home a light and bright feel. 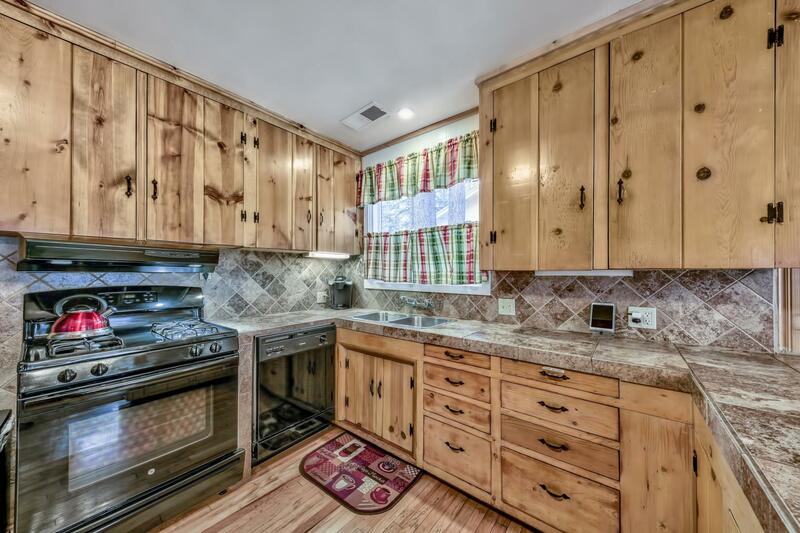 The updated kitchen has tile counter tops with matching back splash, a gas range, dishwasher, & breakfast bar. 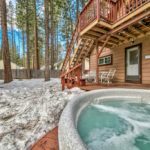 Walk out onto an inviting large back deck to enjoy those Summertime BBQ’s and tranquility while soaking in the hot tub in an enclosed backyard! 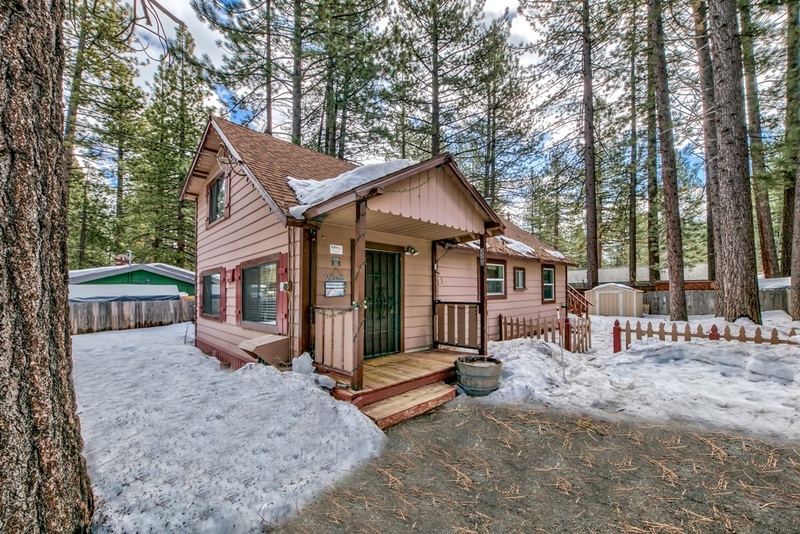 The exterior also features a large storage shed, bear box, and a newly paved driveway. 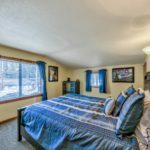 Fully Furnished and move in ready!